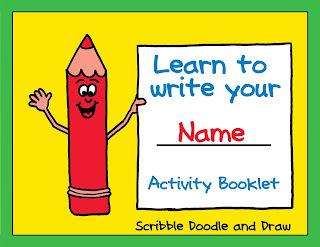 Today I want to share a little about my best selling teacher resource my Learn to write your name printable activity booklet. One of the first things we do in kindergarten is learn about our names. 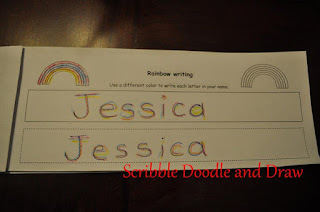 Kids begin by learning to recognize their name first and then how to spell and write their name. The best way to learn this skill is with daily practice. 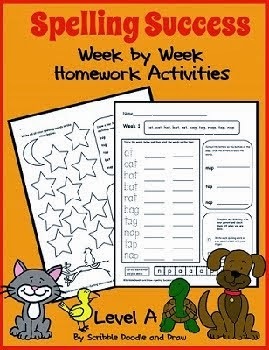 I've uploaded my learn to write your name activity booklet to teachers pay teachers and you can find the booklet in my store here. It includes 20 pages with different printing activities on each page. 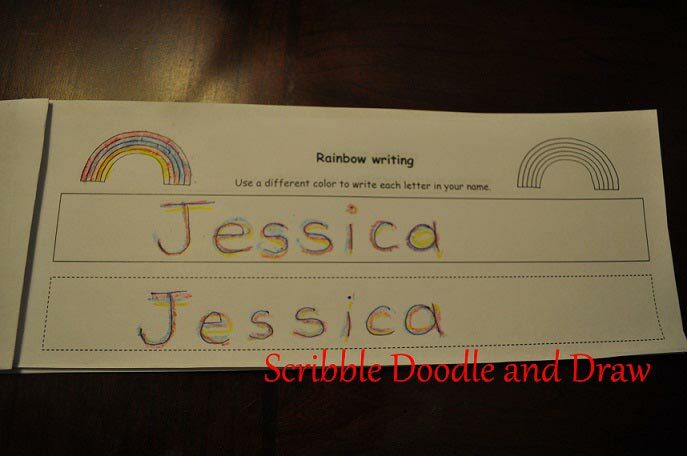 For example, one of the first pages is rainbow tracing and the kids have to use 3 colors and trace the letters in their name. I like to use this booklet in my kindergarten class every morning. The kids come in to class pick up their booklet and complete one page. I love having all the practice pages in a booklet form because it makes the prep time so much easier. Once the booklet is made and I've written their names in it I just have to pull it out every morning and let them practice. 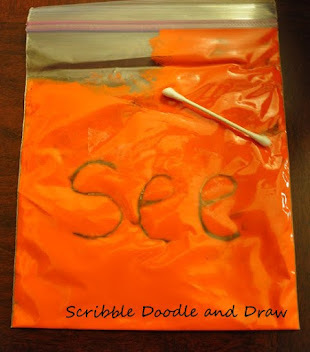 It's also great for those kiddos who take longer to learn to write their names because I can just copy more pages and add it into their book and use it during small group work time. 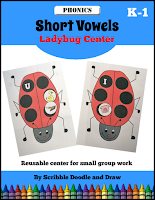 **Update: I just updated my booklet to include a fun graphic on each page that can be colored! ** So if you have previously purchased the booklet please re download it (for free) to get the newest updated version. You can read my latest post post about it here. 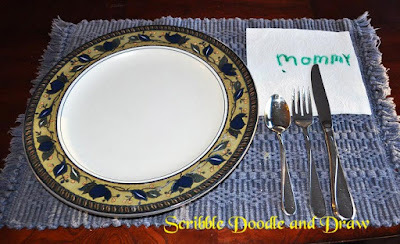 You might also be interested in my post: Fun printing practice for the even the most reluctant writer. 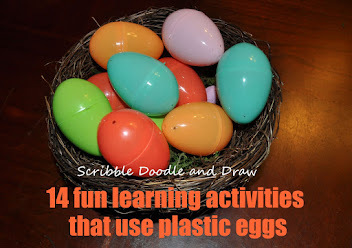 I have gone from Kindergarten to Preschool and am always looking for new ideas! 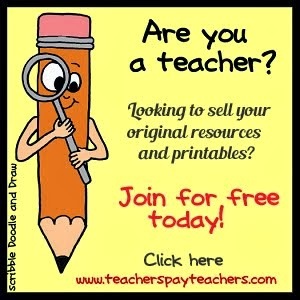 I am a Pre-K teacher & always looking for new ideals to use with my students! Thank u! Thanks for sharing. Been teaching PK for 12 yrs but always looking for new ideas. Thanks for sharing. This is such a great idea! Kids will love it! Thanks for having this giveaway, and congratulations for going into the triple digits on Facebook! notwiddletwaddle@gmail.com! So fun! Just clicked "follow" on TPT and Facebook. Crossing my fingers!! Oh,,, Completed tasks and Hoping to win, Yeah!!!! What an amazing packet! 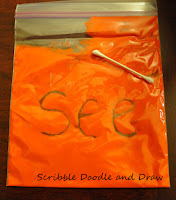 I STILL have a couple of kinders that are having difficulty writing their name after 5 weeks of it. :( I only have them for 2 1/2 hours a day and they get no parental help at home no matter how much I TELL the parents they HAVE to be practicing their name. Oh yea, I am now a follower of your FB and TPT store. Thanks so much everyone for entering!! Less than 24 hours left to enter before I pick a winner! Good luck to you all! !